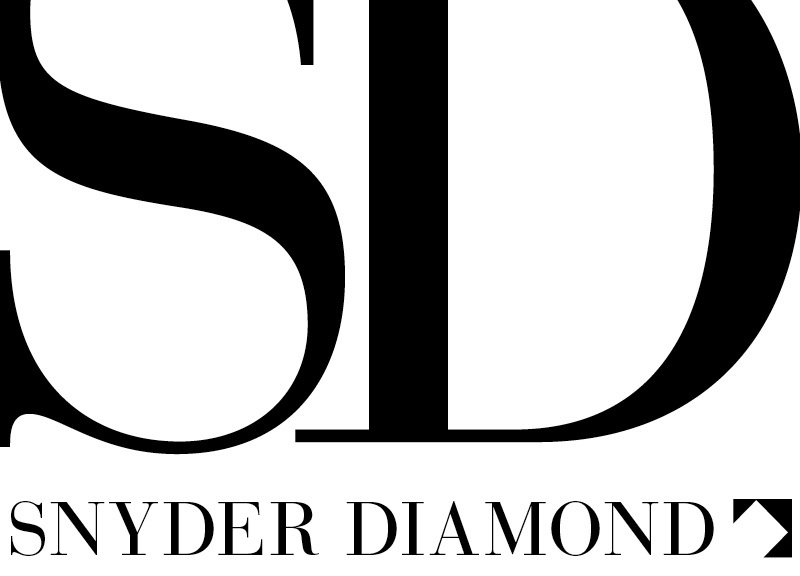 We love celebrating the latest in design on our blog (like the debut of KitchenAid’s black stainless steel suite), though sometimes it’s fun to delve into the incredible histories of our vendors. 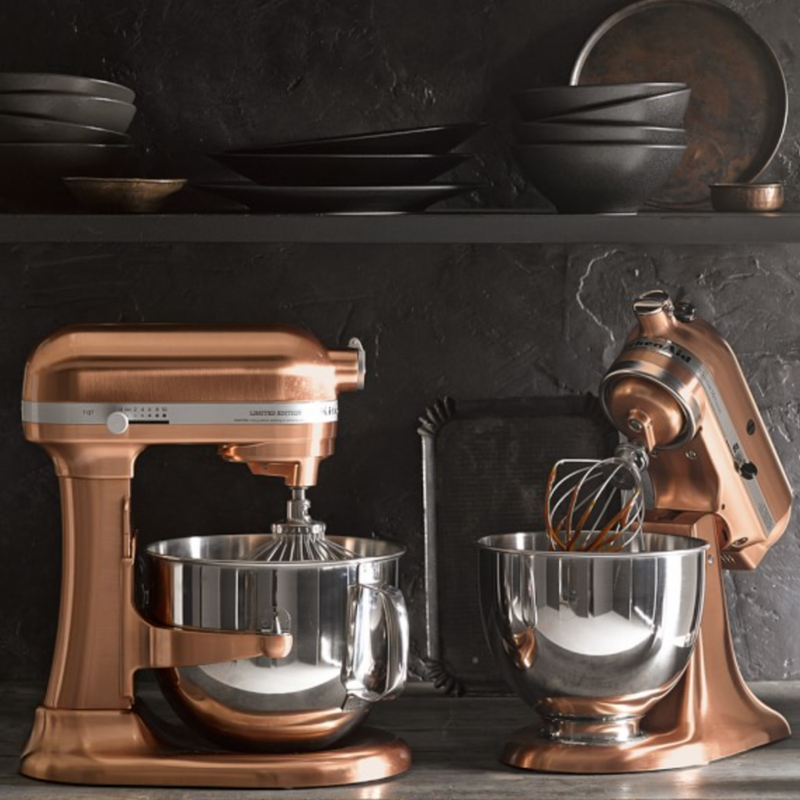 Sure, you know the classic KitchenAid mixer (you probably have one) but how much do you really know about it? We’ve rounded up a few fun facts. In 1908, Herbert Johnston, an engineer at the Hobart Manufacturing Company in Troy, Ohio, watched a baker mix bread dough with a heavy iron spoon and knew there had to be a better way. He put his engineering skills to work and developed what became the first commercial mixer, which Hobart debuted in 1915. In 1917, they became standard galley equipment for all U.S. Navy ships. When wives of Hobart executives tested the mixer, one remarked, “I don’t care what you call it, it’s the best kitchen aid I’ve ever had.” And the KitchenAid name was born. When the home model hit the market in 1919, it retailed for $189.50, the equivalent of nearly $2,000 today. To counter retailers’ concerns, Hobart established a direct-sales force of primarily women who went door to door offering demonstrations and monthly payment plans. The sales women had their work cut out for them with a product that weighed 65 pounds! Julia Child famously used a yellow KitchenAid mixer on television but she also used one at home. Her color choice? Cobalt Blue. And yes, the one on view in the Smithsonian’s installation of her kitchen is, in fact, her actual mixer. Which other celebrity chefs use the mixer? 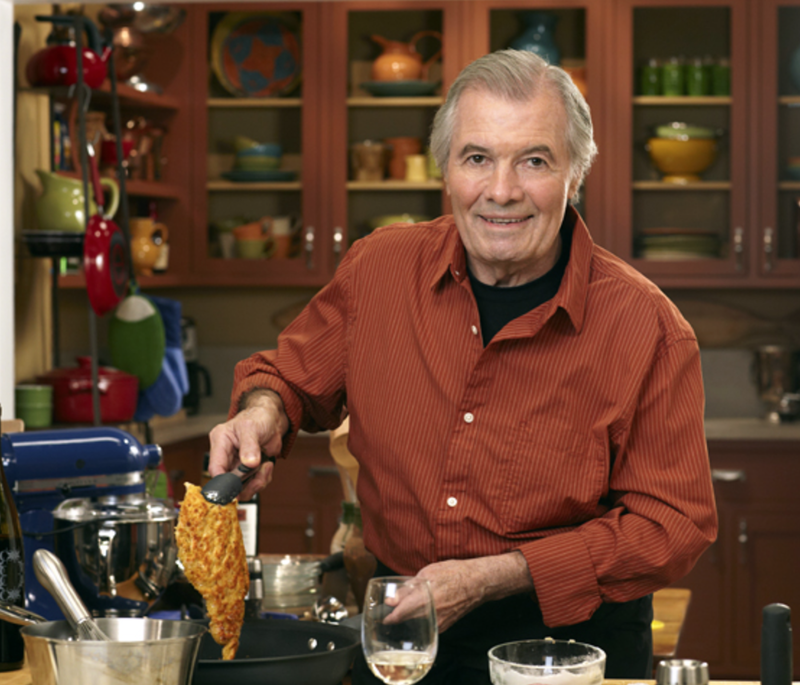 Jacques Pépin, Martha Stewart, Daniel Boulud, Mario Batali, Michael Symon, Gail Simmons, Marcus Samuelsson, Geoffrey Zakarian and Nigella Lawson and Giada De Laurentiis… and that’s just a few of them! 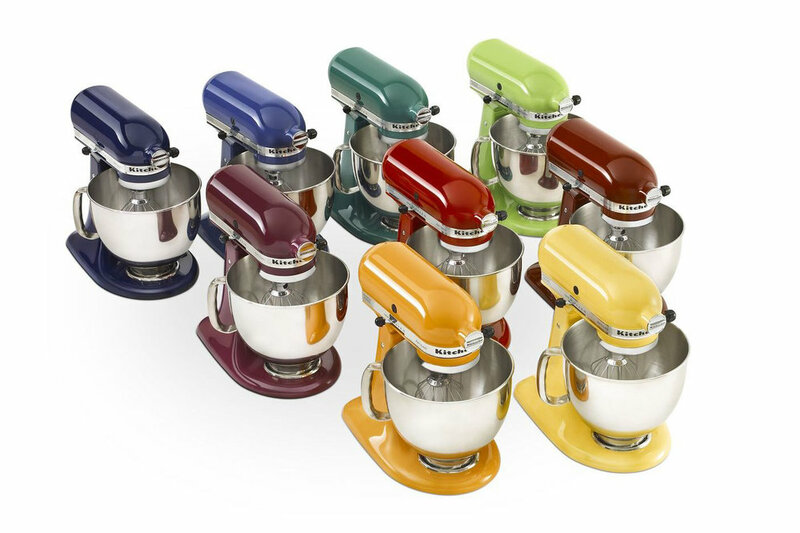 Colors for the mixer were first introduced in 1955, with red and white being the two top sellers. Fans have been known to create custom paint jobs. It’s an aspect that KitchenAid is always updating. Their commercial-style, dual-fuel range is newly available in blue, red, black and white. 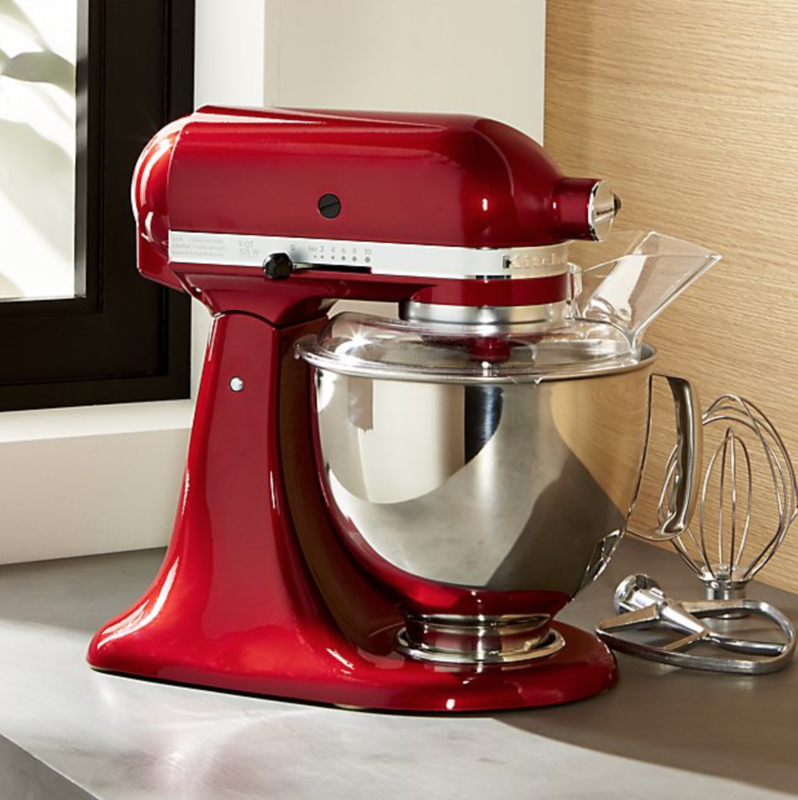 To learn more about all of KitchenAid products, visit our showrooms. 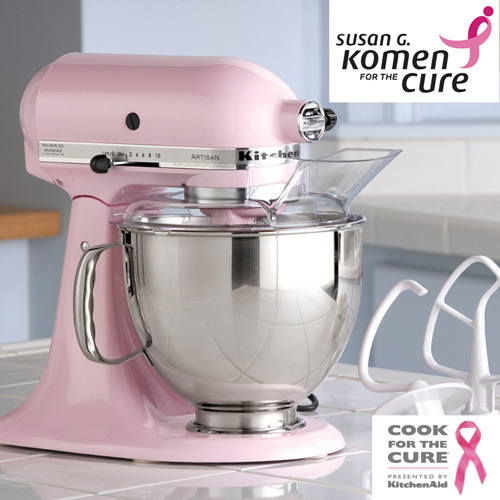 It's also worth noting the company's longstanding partnership with the Susan G. Komen Foundation, Cook for the Cure. 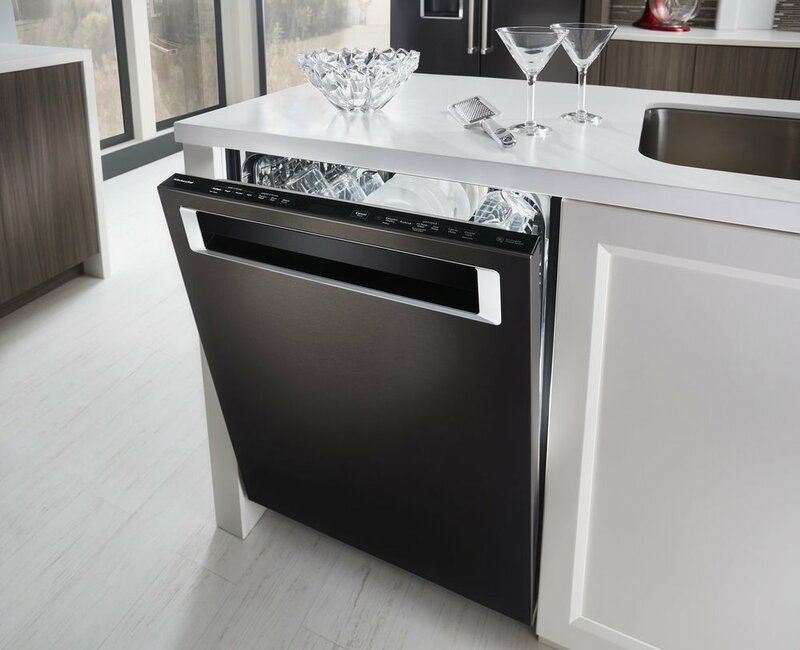 We’ll also be bringing you updates on new product launches that include the brand’s new pocket-handle dishwashers (launching next month) and the new counter-depth French door refrigerator (launching in September.) You can take a little sneak peek below.